When I heard about Michter’s Celebration Sour Mash Bourbon, I thought it was a joke. Four-thousand dollars? For one bottle??? Holy crap. If anyone needed proof that we are in a new age of Bourbon Madness, there you go. I can’t imagine justifying spending $4,000 on a bottle of anything, save perhaps a bottle of wine changed from water by You-Know-Who. But people are rushing to buy anything and everything bourbon-related that is termed rare or limited-edition. It’s not just your Pappy any more. 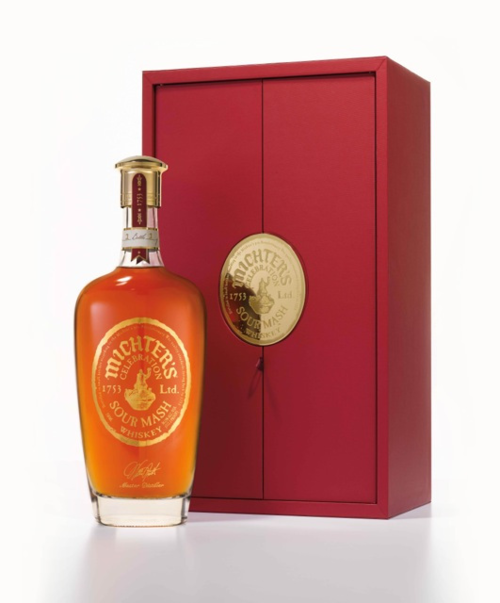 If you are buying Michter’s Celebration, I’d love to hear from you. How do you justify spending four grand on a bottle of bourbon – and will you drink it? And if you do, is it worth the price? I won’t be adding it to my Christmas shopping list, and so I won’t be able to speak to the quality of the bourbon. But I do salute the folks at Michter’s for some utterly brilliant marketing. Just bought a bottle of the 2016 Michter’s Celebration. It will be opened in less than a few days to split amongst friends. Cheers! Please report back and let us know if it was worth the expense!